At Fredericton Family Chiropractic: A Creating Wellness Centre we are fortunate that our satisfied patients and practice members do most of our marketing for us, by singing the praises of chiropractic to their friends and family and referring them to us for care. What others say about chiropractic care can help you make the right health care choice. Review a selection of Fredericton Family Chiropractic: A Creating Wellness Centre patient testimonials below and please email me or contact the office if you have any questions. We love providing leadership for their families’ wellness care, and we’d love to do the same for yours. Chiropractic relieves aches and pains and improves my sleep, energy, and overall health. I’m a 50+ active male who participated in many sports over the years and today although still active in hockey, golf, biking and some weight training feel the structural discomfort, pain and soreness of the past and present activities. I have tried other forms of therapy where the results have been good at the time and you leave feeling relief at the time but quickly regress to the old aches and pains. I decided to visit Dr. Shelley and during the visit she discussed a program with me which would move my physical condition from treatment to maintenance in six to eight weeks. Knowing my body I knew that one or two treatments would not bring me to the place I wanted to be so I decided to give her plan a try. Today, I’m pleased to say the planned treatment schedule has been good for me, I am in about week seven and very close to the maintenance plan, progress has been steady after each treatment and relief from the aches and pains has lessened each day improving my sleep, energy and overall health. Chiropractic care and the professionalism of Dr. Shelley have helped me improve my health and well being which in turn permits me to participate in the activities I enjoy with more comfort. My daughter now has full movement in her hips and no more knee pain! Since my daughter was able to walk at 8 months old she often complained about her knees hurting and her right foot turned in quite a bit, at first we thought it was just growing pains but when we realized this wasn’t just going away, we took her to our family doctor and then to a pediatrician. When Riley was about a year and a half old we decided to take her to Dr. Shelley. With our initial visit with Dr. Shelley she told us as she was checking my daughter that her hips were very tight and there was practically no movement in them. We started a treatment plan of two adjustments a week for the first couple of weeks and instantaneously we saw that my daughter’s leg was straighter and she was barely complaining of any knee pain at all. Now my daughter is two years old and her foot is finally straight and she has no knee pain anymore and she has full movements in her hips thanks to Dr. Shelley. She looks forward to going to visit Dr. Shelley to get adjusted (her “click-click”). Pain free and drug free. Dr. Shelley, words cannot express how much you and Dr. Kelly have helped me overcome my back pain. In March I started visiting you and I could barely function, constant back pain had put me off work since January. My family doctor was adamant that my only source of help was pain meds. I couldn’t function on them any longer. I have been visiting you faithfully since March. You were very helpful in setting me up for the appropriate schedule which I have found very effective. Thank you so much for helping me feel like living again. I should also thank you for helping almost my entire family. . . . husband, daughter, son-in-law, and granddaughter!!!!! You’re the best! Legs don’t hurt as much, and my hip is better. First of all I just want to say a big thank you for all your encouragement and support during the process of taking control of my quality of life and health. I am finally on the path to feeling like a whole person again. I started sessions with you and found out a lot about myself and that my quality of life could be better. Only after a few sessions did I start to notice big improvements in my body, my legs didn’t hurt as much and my hips felt better. I came to all my sessions and now go for maintenance because I want to maintain the quality of life I now have and didn’t have before! Chiropractic care has changed my life and I am now pain free and am still doing my regular visits and exercises. It gave me the courage as I was feeling better with each session to go beyond what is normal for me and work hard at feeling like a whole person again. I have been receiving chiropractic adjustments regularly since I was in my forties. If not for these adjustments, I am convinced that I would by now be totally non-functional. These adjustments are essential in order to maintain movement and proper alignment and curvature of the spine and to correct subluxations. In my opinion, these ongoing adjustments are a small price to pay in terms of how much they improve my quality of life. 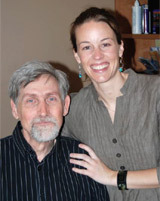 I thank God every day for exemplary and compassionate chiropractors like Dr. Shelley, that devote their lives to improving the quality of life of so many people which otherwise, through traditional medicine, would be doomed to years of needless pain and suffering, relying on heavy medication and eventually, ending in debilitating states of existence. The ladies in front are very welcoming and friendly, and approachable. They don’t rush you thru and easy to talk with. Dr. Shelley Quinlan is top notch!! She is easy to speak to. She is understanding and NOT pushy! She really listens to the patient/client. I am so happy that I picked her! And she accepted me! She explains so I understand. Very welcoming, friendly and informative! You guys are amazing. Very kind and explained everything so well. Thank you to Dr. Shelley and her Administrative Staff for the awesome care and concern that you have shown me. From the moment I first walked through your doors, there was a feeling of true compassion and interest in how I was doing. Your caring ways are genuine and for someone in constant pain that is a true blessing. You are not just a number or dollar sign to Fredericton Family Chiropractor. They truly do want to help. The knowledge I have gained and continue to gain is so helpful. Each adjustment brings more relief and for that I am so thankful. Thank you all. God bless you. I’m so thankful to have found Dr. Shelley. I was desperately searching the Internet for a family oriented Chiropractor due to an endless bout of illness to my 2-year old son. I couldn’t be happier. As a mother, that never experienced chiropractic adjustments myself, I was very unfamiliar and unsure of what to expect. I just got to a point where I knew what we were doing was not working! We’ve only been to 3 sessions but I’m so impressed. My son fell asleep at his first appointment and since then gives Dr. Shelley hugs at the end of his adjustments. I’m so confident this will help. Thank you! Everyone was really kind and sweet. Was very impressed. Staff was very cheerful and pleasant after my first visit I was thinking I was going to enjoy my experience with this practice. Thank you Shelley Quinlan and staff for great service. The place is very clean and everyone is very friendly, and to top all that I can stand straight and feel great when I leave after appointments. I think everyone should be adjusted or treated at least check it out. Dr . Quinlan and staff are very professional and personable. I am sleeping better, digestion is improving and I have more mobility. Highly recommend it!~ Gretta G.
Very happy to have found Dr. Quinlan and her team. The highest standard of chiropractic care from the front desk to the patient’s room to advanced technology and communication. 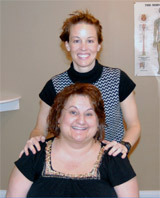 ~ Sheila M.
Really loving chiropractic, Dr. Shelley and her practice! What a wonderful team of service providers. I was greeted warmly and had everything explained in such a professional yet easy to understand manner. A good sense of humor is definitely a common thread throughout the office and we are on the same page when it comes to believing in proactive and preventative methods to a healthy body, mind and spirit. Looking forward to working together to become the best me I can be. Very comfortable atmosphere. Really like that the focus is on more than just adjustments and more about the person. Glad that I tried Fredericton Family Chiropractic. ~Adam M.
Friendly and professional staff. Thank you. The interaction with doctor and staff is very much suited to my personality and expectations. Thanks for your help and commitment towards better heath care! I have found the overall service above and beyond what I expected. There was an exceptional notice of improvement with the first adjustment even my husband notices I’m a much happier and flexible person than before. Shelley is always willing to take the time on each and every visit to listen to my concerns. I only have on regret – I wish I heard about Fredericton Family Chiropractic earlier in life after all you only have one body and one life look after yourself by coming for a visit. I have no regrets and look forward to my appointments for a change. Thanks to all at Fredericton Family Chiropractic! It was only my second time to a chiropractor, the first experience was a disaster and made me a bit reluctant to return to see a chiropractor but after my visit with your practice, all the negative is gone. Staff were very friendly! I am looking forward to my appointment today and hoping for very good results. Very pleasant and gave an explanation of everything that was discussed. I was we’ll cared for and will refer your clinic to co-workers.